Do you know what this little black box means? It means boyfriend got me an amazing Christmas present! I couldn't be more excited. 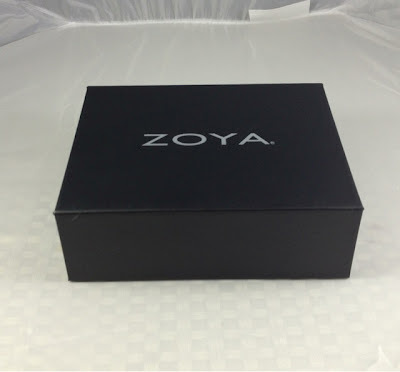 This is the Zoya Gilty Pleasures box. 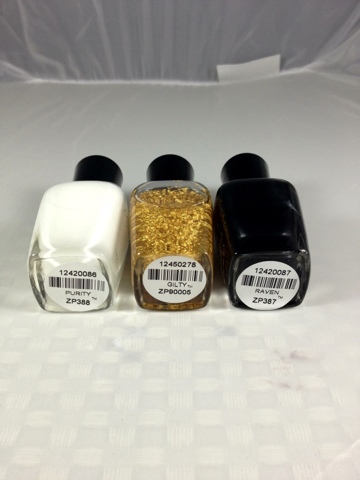 Inside we have Zoya Purity, Zoya Gilty and Zoya Raven. 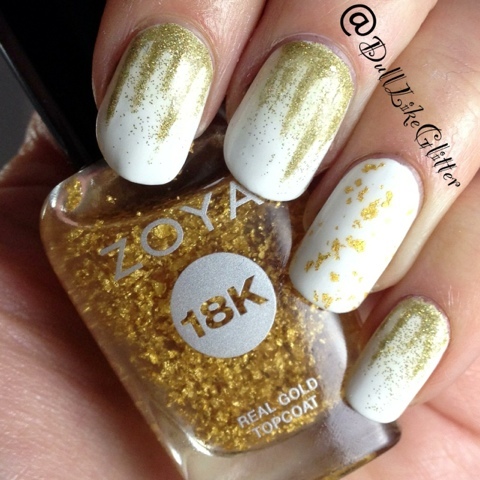 The white and black polishes are more extras but the crowned jewel is the 18k gold flake top coat in the middle! This little gift box has you all set to give yourself a golden glowing mani. The white or black are perfect colors to really show the flakes off. Of course I had to use it right away! I used Zoya Purity for the base white and did dripping icicles of China Glaze Angles Wings then topped the accent finger with Gilty. It came out perfectly and I can't wait to use it more. What an awesome boyfriend! I just ordered mine and I cant wait to use it! !